Worn by the actor “Hector Escaton”. The jacket has a silver metal buttons detailing on the front which looks perfectly amazing. 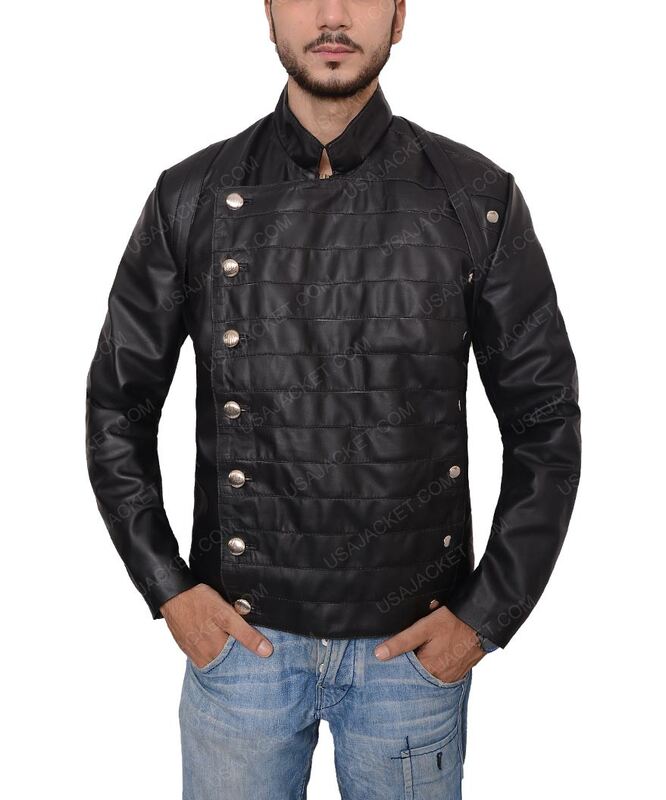 You can wear this jacket for your any casual parties or events. The jacket will definitely enhance your personality features and gives you stunning persona which makes you more iconic and stylish. Updates your wardrobe by this unique piece of art and very well designed jacket. The jacket is made-up of real leather with viscose lining inside which is only for your comforting. 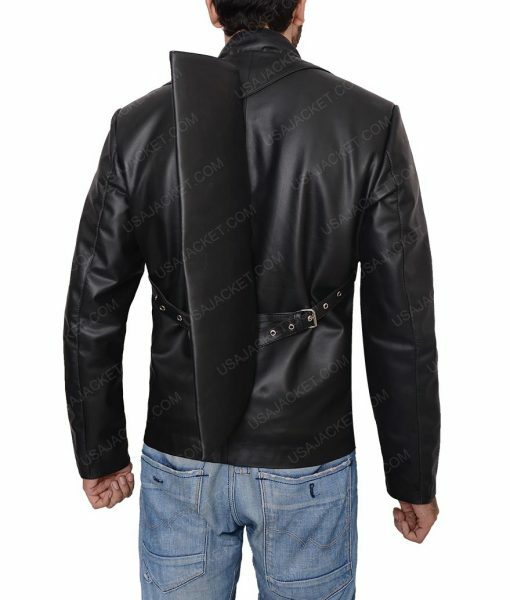 The jacket has stand-up collar with buttoned style front closure. In more detailing the jacket has full-length sleeves with zippered style cuffs looks stunning and will definitely has fine flexible stitching which you can wear easily and carry it easily. 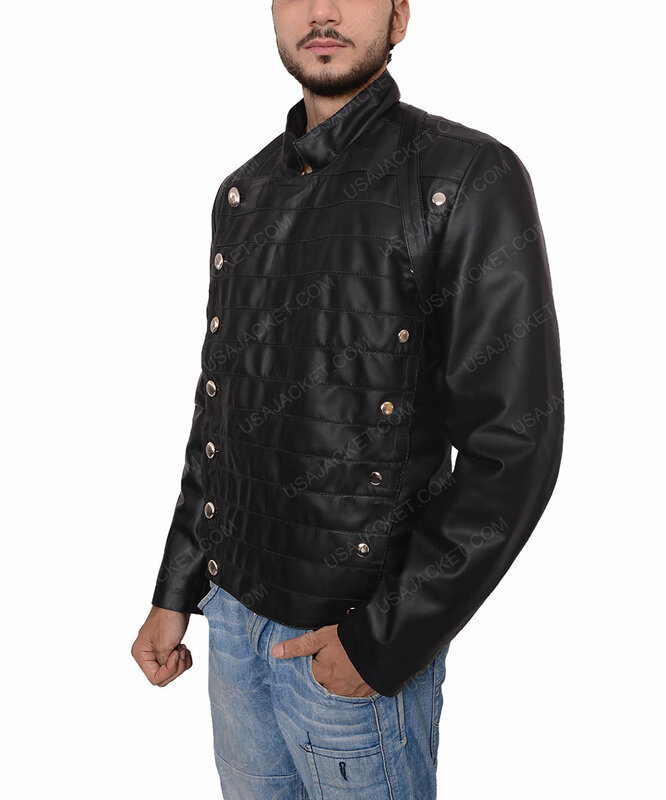 We used premium quality of material so that you can wear this jacket for many years ahead and issue.